Browse alfalfa-hay suppliers by country and region. 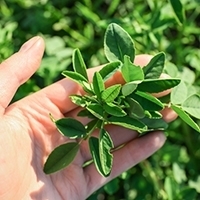 Alfalfa originated in the vicinity of what is now Turkey and Iran, and undoubtedly was consumed by grazing animals long before there was any recorded history. It probably was domesticated in this area, and some historians believe this may have occurred concurrently with domestication of the horse. 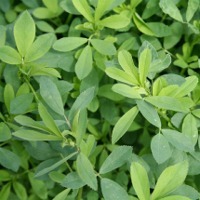 It is thought to be the first plant grown strictly for forage. Today, CEADS is harvesting the alfalfa in Turkey grown only on the land exactly where this plant originated from and based on tons of samples collected from different parts of the country, the yield in this part of the country is proven by lab results to be the highest quality of all. Today, it is no secret that alfalfa can provide excellent nutrition for all types of forage-consuming animals. Production of more than 30 kg of milk/dairy cow/day have been obtained from alfalfa/grass pasture alone. Beef gains of more than 500 kg/4k m2 have been reported on alfalfa/grass without supplementation. Fattening lambs have produced gains as high as 400kg/4k m2. Short on time? 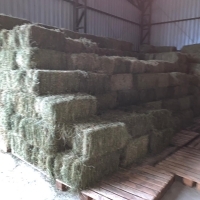 Let alfalfa-hay sellers contact you. 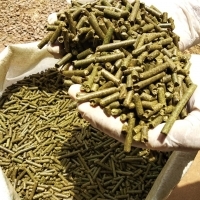 We export premium quality animal feed products from Chicago USA as per your requirement. 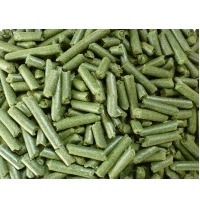 Alfalfa pellets, grass pellets and hay, alfalfa haylage.